This bookshelf has foldable panels. Two panels are adjustable which could suit for your different storage requirement. 3-Tier storage capacity could provide you more storage space, you could put your plants, books, photographs and other staffs. It could be put in living room, bedroom, office or study room and suit for different decoration style. This rack is made by solid pipe construction with steel. The material of this item is high quality MDF and steel. It has good satiability and function. 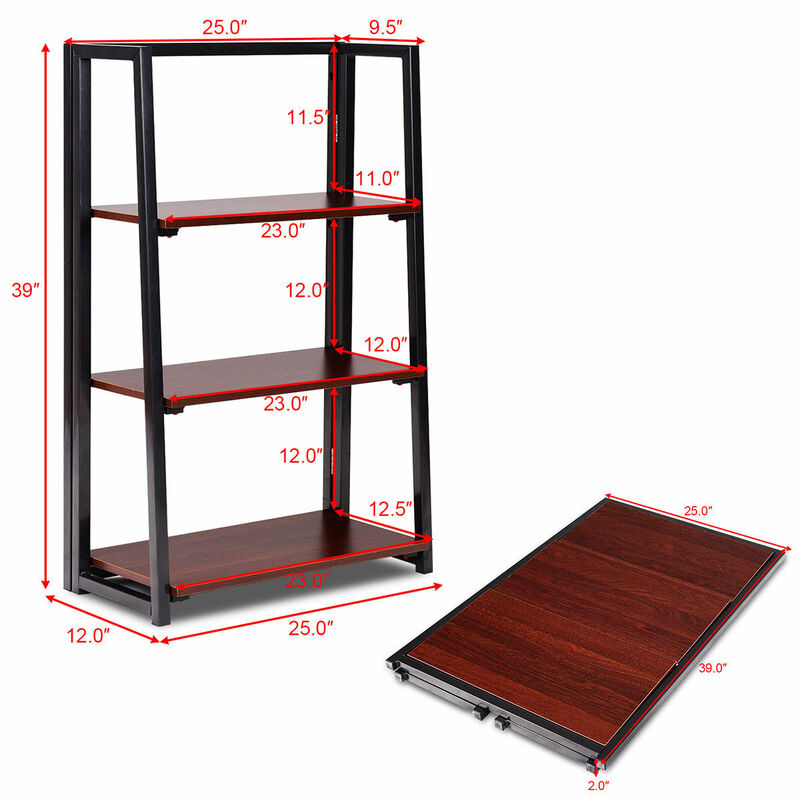 High quality iron wire and panel connecting procedure which could make this bookshelf more durable and reliable.